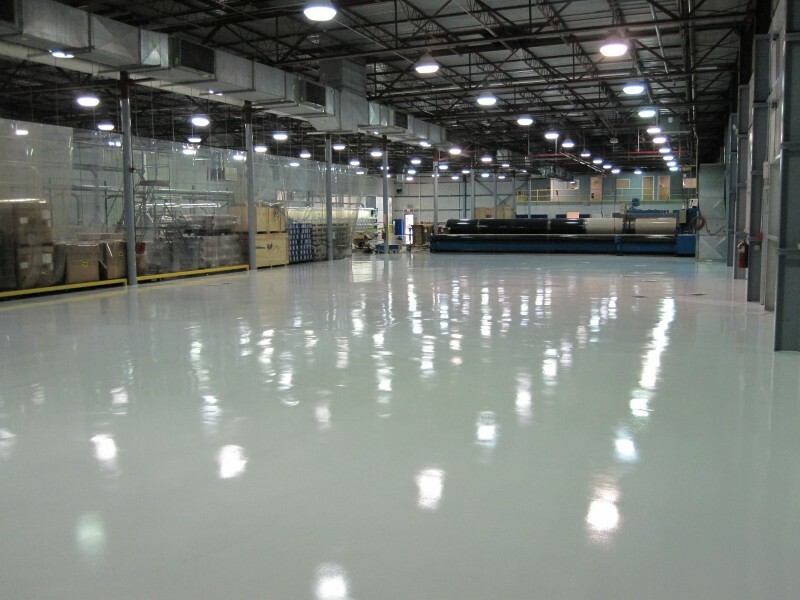 Liquid Floors provided Syn Strand, Inc. with their epoxy floor coating needs. It is a private company located in Summerville, South Carolina that offers non-textile and monofilament products. Syn Strand is owned by Voith a global technology group offering digital solutions as well as manufacturing, oil and gas. Some of the products manufactured by Voith and Syn Strand include Drives & Transmissions, Connection components and couplings, Turbines & Generators, Hydraulics, Braking Systems, Papermaking Components, Electric Controls and Services. Starting in Germany, Voith has been in business for over 150 years. 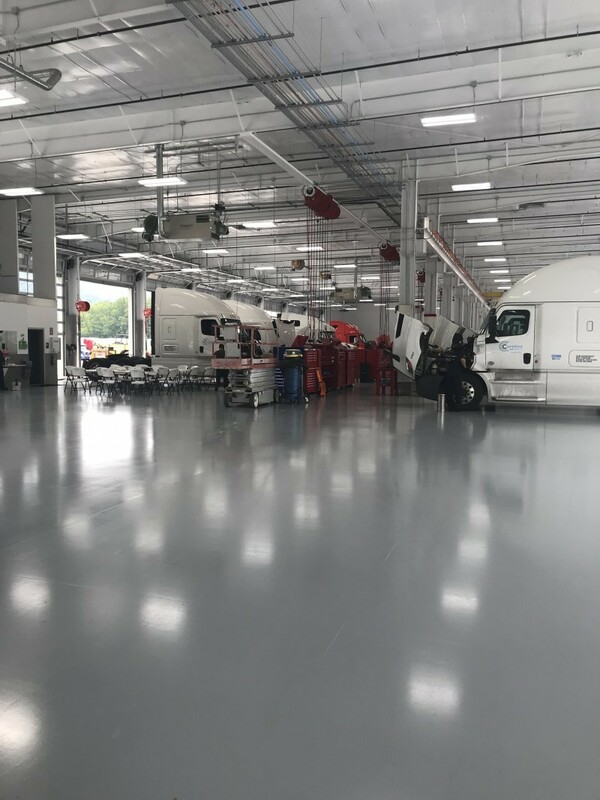 Liquid Floors was brought in by Syn Strand, subsidiary of Voith to significantly improve the look and performance of their manufacturing facility by installing premium Epoxy Floor Coatings along with custom line striping. 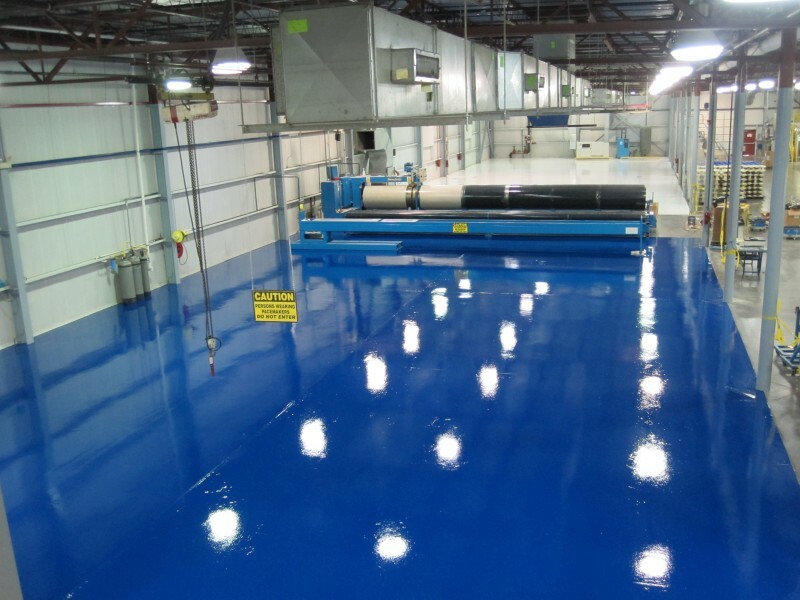 As shown in the pictures our team at Liquid Floors installed a stunning looking blue epoxy floor coating and applied a urethane topcoat for great results. 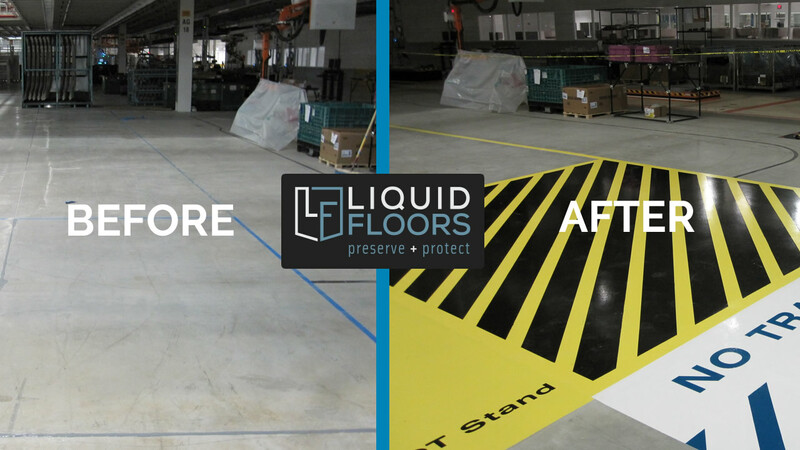 Installations like this one always start with careful concrete floor preparation by removing stains and other residue from the flooring prior to leveling and etching the floor using equipment like diamond grinders or shot blasters. We help operations like Sys Strand and Voith stay on task by getting in and out as quickly as possible. 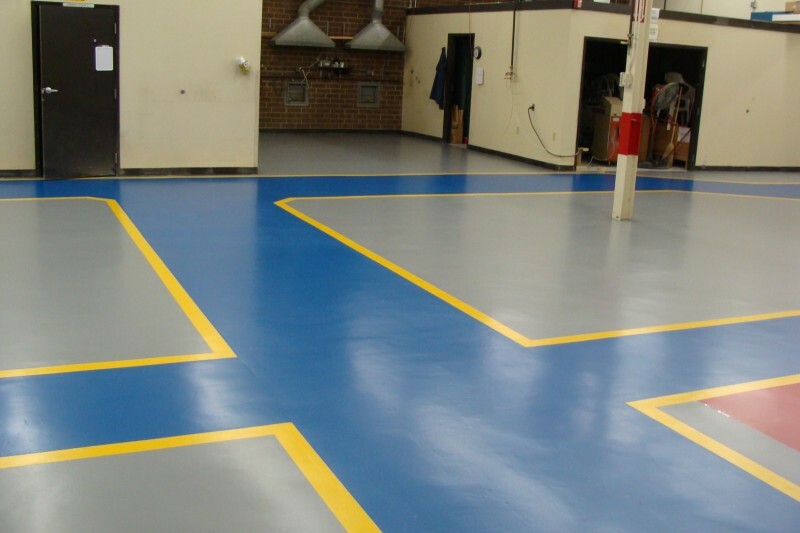 As professional industrial flooring experts, we know how critical it is to be on time. 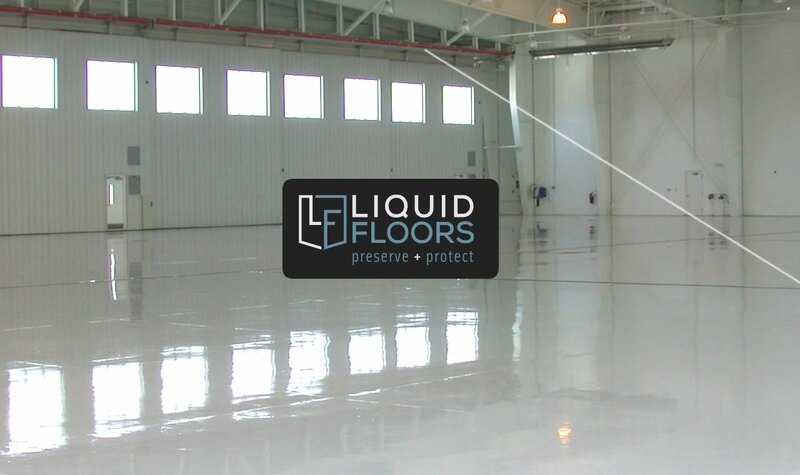 Because of the several benefits that our epoxy flooring offers, Liquid Floors provides the ideal flooring solution for many types of Industrial manufacturing companies.. 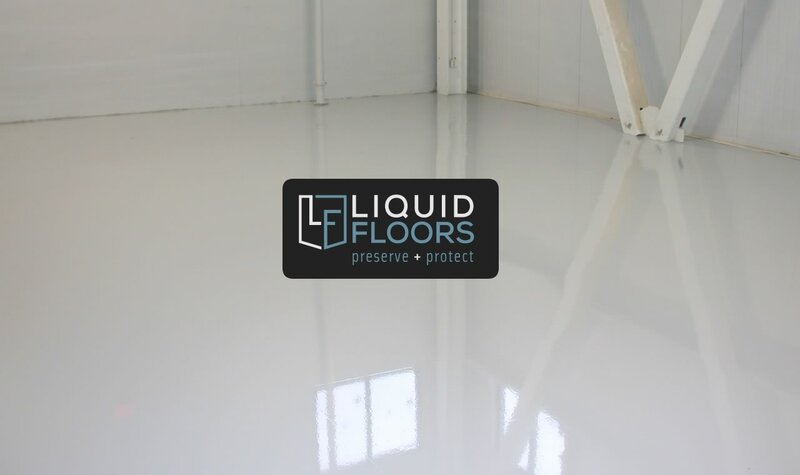 So if you want shiny, glossy, seamless, durable and cost efficient floors, call Liquid Floors now at 877-547-8431.